When people think of coach holidays one of the first things that springs to mind is a group of grey-haired travellers sitting for hours on end on a coach for a whistle-stop tour of a destination. But let us assure you this definitely is not the case, coach holidays are steadily turning into the holiday of choice for many with our ageing population. Travellers can forget the hassle of the airport and the anxiety of flying, instead on a coach holiday you can simply sit back, relax and watch the world drift by before arriving in some great new and undiscovered destinations. The modern coach holiday now incorporates a wide range of trips and excursions, from continental breaks which take in the sights of Italy, France, Austria and more, to shorter UK breaks. In addition to the ‘traditional’ coach holiday, you can also travel by coach to many of the best events in the UK and abroad including Chelsea Flower Show, Edinburgh Military Tattoo and the Belgian Grand Prix. 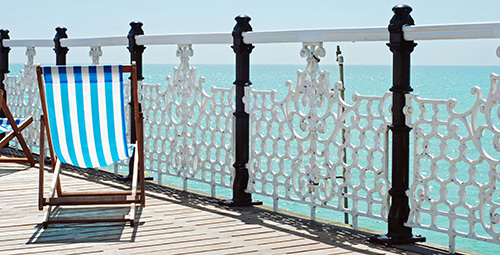 When you think of the destinations you may be able to travel to on a coach holiday you tend to think of trips to the seaside and across the channel to France. Let us banish these thoughts straight away, not only can you explore all four corners of the UK in addition to the Isle of Man, the Isles of Scilly and the Channel Isles. You can also explore more of Europe than perhaps previously believed. You can now explore a Norwegian Fjord without ever having to set foot on a plane… Admittedly yes, you could take a cruise ship, but for those who aren’t too keen on sailing, you can take a scenic drive through Germany, Denmark on to Norway. You can also take a coach holiday to Russia of all places! This 16 day holiday takes you through Germany and Poland to Russia. You’ll have a chance to discover Moscow, St Petersburg and so much more. By travelling there by coach you’ll get to see the other countries cultures too with overnight stops which simply would not be possible on an air holiday – it’s practically like getting three countries for the price of one! Forget short coach holidays to France, Belgium and Holland, you can now venture all the way to Croatia by coach, this jewel in the Mediterranean is a great destination for anyone looking to take a European coach holiday. With a number of postcard perfect coastal resorts, Croatia really does have plenty to offer its visitors. As you can see the destinations you can visit on a coach holiday have come on leaps and bounds over the last few years. So much so, there is little stopping you exploring more of Europe than you previously thought. And as we mentioned before, you won’t be sat on a coach all the way to Croatia, there will be plenty of comfort stops and overnight breaks giving both you and your trusty coach driver a break. Like anything the coaching industry has been expanding and developing and with such large numbers of passengers now travelling many things have now changed. You can now enjoy Wi-Fi on many coaches meaning you can keep up to date with everything from home whilst you are on the move. You can also continue to post those all important holiday snapshots to make your friends at home jealous on your all important social media outlets! Did you know that when you book certain coach holidays through us you can upgrade yourself to the new Luxuria coach, this includes generous leg room on board, climate control, an on board servery and more. The coach also has TVs in the back of the seats with movies, games, music and a route planner plus charging points for USB, making it a very relaxing experience. We might be biased but coach really is the only way to travel. New coaches are also more economical than their past counterparts, making travelling by coach one of the greenest ways to travel. It’s always tricky to know what kind of people will be on a coach holiday with you. After all, you want to be able to talk to your fellow travellers and make some new friends whilst on board. This is often a difficult question for us and it tends to depend on what type of tour it is. A recent study has shown however, that an over 65 is almost three times more likely to take a coach holiday than an under 65. It goes without saying that a coach holiday to Disneyland Paris is likely to have lots of families and children on board, whilst a cultural city break to Prague will probably have no children whatsoever. Some coach operators do allow children on holidays meanwhile others will not, if you are worried or unsure it is best to ring us to check. 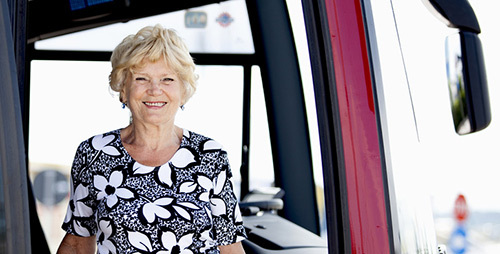 We do have one coach operator which is suitable for over 55s which promises a calmer coach journey, the choice is yours (dependent on your age of course). We also offer solo traveller holidays, these are purely for passengers who will be travelling on their own, and it gives passengers the peace of mind that they will be travelling with a group of people who is similar to themselves. These breaks are a great way to meet new people and it also saves a few pennies on the single supplement charge which is often added on to single rooms. A recent study asked those who had travelled on a coach holiday in the last five years about their experience, two thirds of those stated coach holidays offer ‘good value for money’. Coach holidays are one of the more affordable ways to travel, the prices can be very reasonable when you calculate all the inclusions added. You also have the added benefit of being able to pay a deposit on the majority of holidays. This means you can reserve your space now and then pay the remaining balance around 8 weeks prior to departure. Some of the breaks we feature on Door2Tour.com have a deposit amount as little as £15 – perfect for reserving your place. It’s also worth noting that some tours include optional excursions in their itineraries, these can be pre-booked at the time of booking or in some cases can be booked on tour. If you have any questions it is always best to contact us to find out more. It is indeed possible to book onto a last minute coach holiday, but there is often less choice than if you were to do so earlier. It’s also important to bear in mind that the coach will have already been routed on its journey so you may need to travel a little way to board. 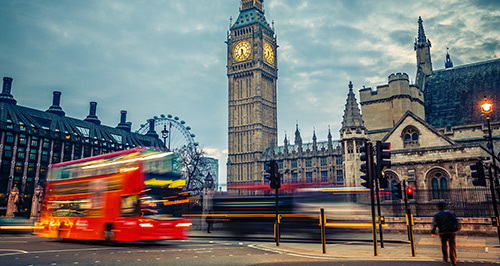 It’s also worth considering that many coach operators do not tend to discount their tours closer to departure, so if you were hanging out for a last minute bargain, it is probably safer to book your place sooner rather than later. We often get a number of phone calls from customers who are looking to travel to an event as they have seen it on television. A prime example of this is our ever popular Wimbledon breaks, these often sell out around 4 weeks prior to the start of the tournament so if you are interested in attending it is better to book early to avoid disappointment. At Door2Tour.com we feature tours which pick up across England, most of Wales and southern Scotland. We feature hundreds if not thousands of departure points. It’s worth knowing that many coach operators like to have a certain number of people at a pickup point to make it viable. Sometimes, if there is low uptake, a pickup point can get moved to somewhere else hopefully not too far away. Some, but not all of our operators also offer a home pickup service. If you would like to be picked up from home it is often worth ringing the team to discuss options available as this tends to be in certain areas of the country. Passengers who frequently travel on coach holidays sometimes experience a companies ‘feeder service’. This is when a number of coaches are departing to various locations on the same day so the coaches will pick up those from their local area and all meet up in one central place, the passengers will then swap coaches to be assigned to the one which is going to the right destination. At the time of booking it is often hard to know whether this will be happening on certain coach holidays, but you should be informed closer to departure. 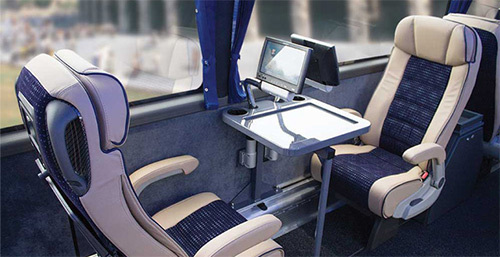 There are definitely some advantages which are saved for those who travel by coach. Last year, Emmerdale opened up its filming set on the Harewood Estate for visits. These tours were only available to those who were travelling by coach, the general public were not simply allowed access to the tour. There definitely are benefits to being a coach passenger! When you book a coach holiday through Door2Tour you can be safe in the knowledge that all the operators we work with are financially bonded and protected. Most coach companies are members of ABTA (Association of British Travel Agents) as well as the Coach Tourism Council. When travelling around the UK by coach you can opt for a range of different holidays. From those that tour around with lots of included excursions to those that allow you to relax in a resort and explore at your own pace. These really are personal preference and the choice is yours. Here’s some ideas of some popular new 2016 coach holidays which will hopefully inspire you! Ride behind the famous Flying Scotsman as it takes to the rails following a £4.2 million overhaul. It was purchased by the National Railway Museum in 2004 after 81 years of service and has travelled over two million miles. The recent overhaul was a full scale refurbishment of the train which has taken a decade to complete. One of our newest coach holidays for 2016 includes a ride upon this famous locomotive. Our three day break includes a visit to the market town of Richmond, the cobbled market place is a hit with visitors as it is surrounded by beautiful buildings and a stunning church. On the second day you’ll have the chance to ride on the wonderful Flying Scotsman along the North Yorkshire Moors Railway. The route will pass miles of spectacular Dales scenery as steam billows overhead. On the final day of your break you’ll have the chance to explore the cathedral City of Durham with its piercing Cathedral spire. There is no better way to explore quintessential England than by taking a coach holiday which explores the winding roads of the Cotswolds and Oxford. This 5-day break will allow guests to explore the historic University town of Oxford, the Great Hall of the University featured in the Harry Potter movie series in the early films. As well as discovering the University campus, there will be a chance to discover the covered market, the treasures housed in the Ashmolean Museum or to enjoy a meal in the Grand Café. 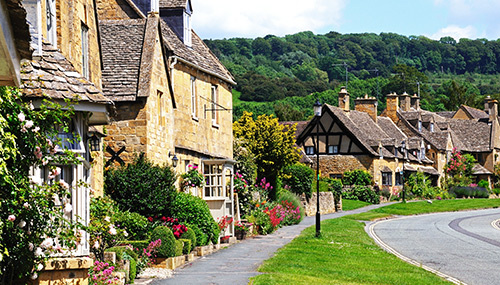 The following day your coach will take your to the Cotswolds, the rolling hills and Chocolate box houses promise to be a real treat for the eyes. Take some time to explore the delightful shops in Moreton-in-Marsh or wander along the streets in Broadway. You’ll also get the chance to visit Bourton-on-the-Water, a real must for anyone visiting the area. On the final full day of your tour you’ll get the chance to visit the Royal Crown Derby Porcelain Company. You’ll be shown how the fine bone china is created and watch as craftsmen hand paint the next piece. After this you will head to Lichfield with its famed three spired cathedral and you’ll have the chance to explore the city’s narrow medieval alleyways. Most of us take the city of London for granted, been there, done that, got the I heart London t-shirt, but we never have actually had the chance to fully appreciate our wonderful Capital city and all that it as to offer its visitors. The Shard, which is now the tallest building in Europe gives visitors the chance to see London in all its glory with views which stretch for miles and miles on a clear day. The Shard also has great seasonal events on depending when you choose to visit, you might be lucky enough to be able to sit and watch Wimbledon in the garden area in the summer. As well as exploring the brilliant View from the Shard, you will also have the chance to wander the streets of the UNESCO World Heritage Site Greenwich. You’ll have the opportunity to stand astride the Mean Time Meridian, in addition to visiting the Royal Observatory and a chance to see the famous Cutty Sark – a milestone on the London Marathon route. If these itineraries seem a little jam-packed and you are more used to having a chilled out relaxing holiday, coach holidays to the UK can do this too. It seems to be more prominent with coastal resorts, but many coach holidays which last between 4 and 5 days will allow you to stay in resort and explore. Some will have included excursions to nearby towns and villages, but these are optional and if you would rather stay behind to enjoy the local scenery there will be no problems. If you were looking to venture a little further afield we also have a great range of ‘Relax and Discover’ breaks. These slower paced holidays let the holiday-maker do exactly what they want whilst away from taking a trip every day to lounging around the pool or beach soaking up some sun. If you fancy a coach holiday but would like to see a little more than what the UK can offer, then now is the time to book a European coach holiday. There are so many great cities and towns to explore just a short hop across the Channel. Our closest neighbour France, offers city breaks to the capital of Romance – Paris, something for the whole family at Disneyland Paris and even a chance to catch some sunshine in the French Riviera. Did you know about our new Disney Dash tour? By travelling overnight you have the chance to catch the coach from your local area late afternoon and be in Disney the following morning ready for when the Parks open. You’ll enjoy a full day with your hopper pass exploring both Disneyland Park and the Walt Disney Studios Park. In the evening once you are all ‘Disneyed’ out, you will board your coach to begin your journey back home arriving back at your departure point in the early morning. Don’t worry, not many of our coach holiday tours to Europe are that rushed, after all, holidays are meant to give you a chance to relax and you certainly can do that. 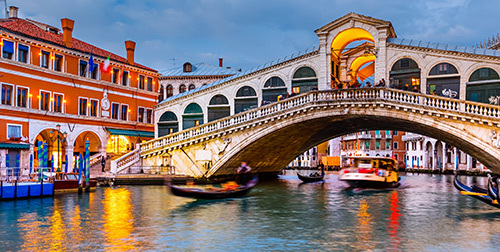 Imagine spending a few days experiencing ‘La Dolce Vita’ in Italy, with some coach holidays you can spend over a week exploring the sights of a place, whilst staying in a number of four star hotels. 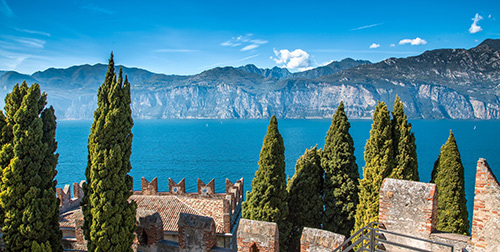 Enjoy a relaxing stay on the eastern shores of Lake Garda in the lakeside town of Bardolino. The Parc Hotel Gritti is an outstanding 4* hotel surrounded by beautiful gardens with a swimming pool and sunbeds for guests to enjoy. En route from the UK you’ll have a chance to stop and explore Lake Lucerne and if time allows you may have the chance to board an optional boat cruise. Once you arrive in the resort of Bardolino, there are plenty of other great excursions lined up for you throughout the rest of your holiday including a chance to explore wonderful Venice. Venice, the famous city of canals definitely needs to be on everyone’s bucket list. Explore St Mark’s Square, the Bridge of Sighs, Doge’s Palace and there is a chance to take an optional Gondola Ride. And let’s face it, what’s Venice without a Gondola ride? Another excursion will this time take you to the city of Fair Verona, famed for being the setting in Shakespeare’s Romeo & Juliet. Tourists still flock to the famous Balcony today, leaving messages of love and loss whilst they are there. You’ll be able to enjoy an included guided city tour before heading back to Bardolino to relax. The final excursion on this trip includes a visit to Lake Garda and Malcesine. Known for being one of the most attractive towns on the lake, Malcesine has a cableway which allows visits to climb 1600 metres up to the top of Monte Baldo for spectacular views over the lake. When you think about taking a coach holiday to Europe, Scandinavia is probably not the first place you’d think of, best yes, you can take a coach holiday from the UK to Norway. Known for its natural charm, this brand new coach holiday allows travellers to explore some of the most dramatic Fjordland scenery in Western Norway. Travelling by coach to Calais, on to Germany and then through Denmark and eventually arriving in Norway with stops in Oslo and Copenhagen, you’ll have the chance to experience multiple cultures and countries on route to your destination. Once you arrive in Norway you can visit the second largest city of Bergen, there is plenty to discover including the lively fish market and historic harbour. Next you’ll catch a train on the Flam Railway though some of the country’s most stunning scenery including snow-capped mountains and spectacular waterfalls. 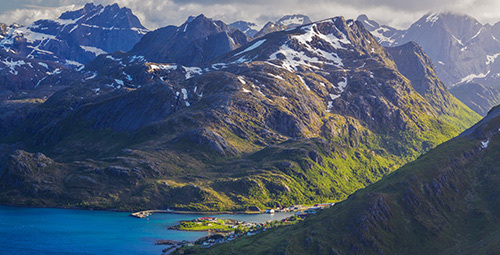 You’ll also enjoy a cruise on the Naeroyfjord, one of the narrowest fjords in Europe. This break gives you a chance to explore some of the best of what Norway has to offer without the worry of flying or navigating yourself around somewhere you don’t know. On Door2Tour we also feature a lot of escorted tours to many far flung destinations around the world, this will give you a chance to explore more of a country will the guidance and support of a group. This removes the daunting feeling of having to navigate yourself across a country or a place you have never been before. In turn you can then relax and truly enjoy a place! You can hopefully beat some traffic, big events tend to specially allocate bus and coaches into selected car parks. 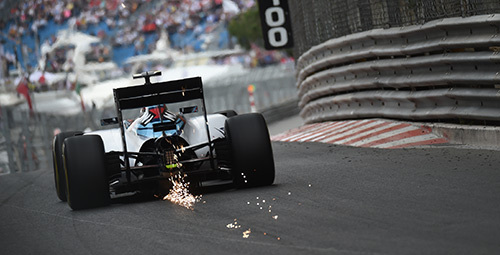 Some events such as the British Grand Prix also allows Bus and Coach traffic out of the circuit on a separate route to the cars, meaning you can certainly skip some traffic. It is never fun to be the designated driver when those around you are drinking, enjoy themselves and becoming rather merry. By taking a coach to an event you don’t need to worry and you can make the most of your day. Just make sure some picks you up from where the coach is dropping you off at the other end. Believe it or not, it can often be cheaper to take a coach to an event than to simply organise it yourself. Hotels, events and attractions often lower their prices for those buying large quantities of tickets and by the time you’ve added your transport, you may as well book a package which includes everything. 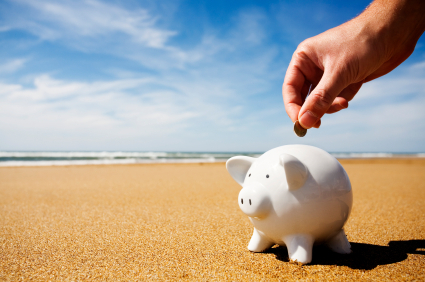 The beauty of booking a coach holiday is that you tend to only a pay a deposit at the time of booking and the remaining money isn’t normally due until closer to departure. This means you can secure your place early and then save up to pay for the remainder of your trip. You can pay however you like, even in monthly installments if you fancy. At Door2Tour.com we feature coach packages to many of the UK and Europe’s biggest annual events including the Royal Edinburgh Military Tattoo, a variety of F1 Grand Prix packages to the British, German, Spanish, Italian, Belgian and Monaco fixtures to name a few. We also have packages for a number of concerts and events including the wonderful Andre Rieu live in concert in his home town of Maastricht and Lionel Richie live in London. Or for those who are green fingered we have packages to the Chelsea and Hampton Court Flower Show to name just a few. 2016 also sees the return of the spectacular Brussels Flower Carpet which is truly a sight to be believed with thousands of flowers used to create a spectacular display. We also feature a number of other events on the annual calendar including Ladies Day at Royal Ascot, the Grand National and the Cheltenham Gold Cup. 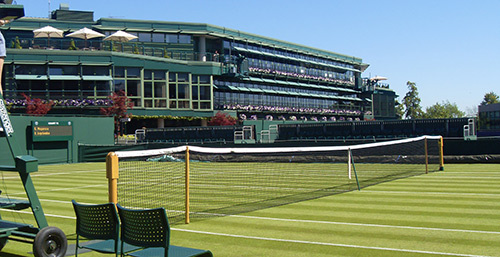 It’s also worth bearing in mind that you can buy coach packages to Wimbledon through Door2Tour.com, if you miss out on the ballot, tickets to get into Wimbledon can be rather tricky to obtain. This year you can get Court Number 1 ticket and a hotel on a make your own way break from as little as £149pp. We hope this has given you an insight into travelling on a coach holiday and has hopefully convinced you to travel in the future. If you have any further questions or would like more advice about coach trips please feel free to contact us.